Hello sir, is there any one can provide me here application of Sikkim Manipal University for distance learning program MBA? The Sikkim Manipal University from offers distance learning mode offering MBA program. Inline application is provided by Sikkim Manipal University. The SMU-DE is awarded the Best University in Distance Learning by ASSOCHAM INDIA, offers Masters in Business Administration (MBA) through distance learning mode. 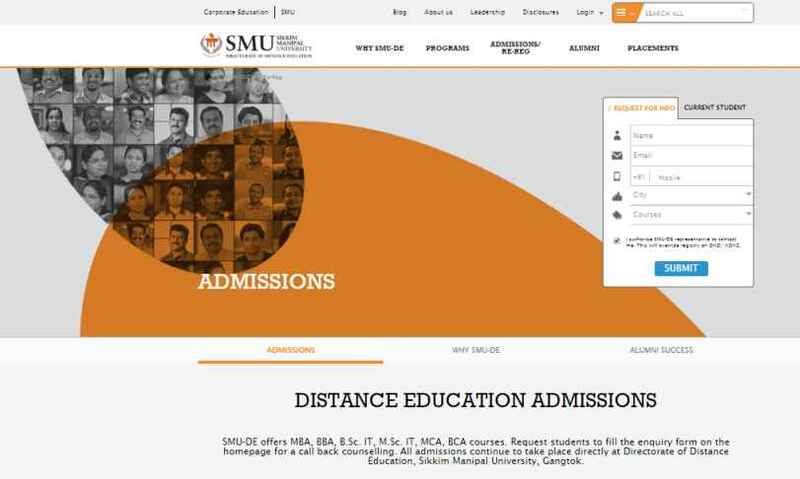 The course duration of the distance MBA Degree Program from SMU-DE is a minimum of 2 years (4 semesters) and a maximum of 4 years. Candidates must have graduation or equivalent in any discipline from a recognised University. They must be qualifying the Entrance Test SMU-DDE Management Aptitude Test conducted by Directorate of Distance Education, Sikkim Manipal University.